iBall has introduced a new smartphone the Andi 4Di+. 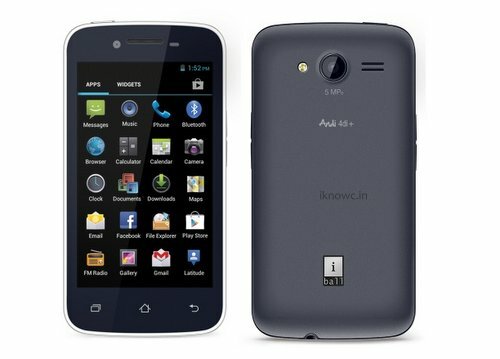 The iBall Andi 4Di-plus comes with specifications, that are similar to recently launched Xolo A600. The phone runs on Android 4.2 Jelly bean Operating system, powered by 1.3GHz Dual-core processor. It packs with 5-megapixel snapper at the back and 0.3MP front facer camera. It houses 1700mAh battery to power the handset and has DUAL SIM card slots. The handset is Priced At RS6399. The company has included new features like – Flip to mute, Auto call recording and Wireless display.